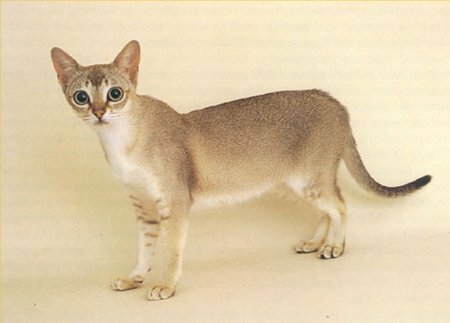 The Singapura Cat is a stocky, averagely muscular breed of cats characterized by large almond-shaped, outlined eyes, and big, deep cupped ears. 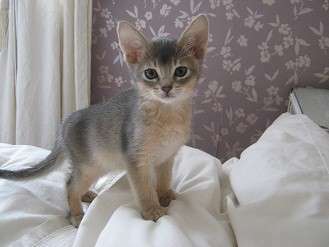 They are one of the smallest breeds of cats of the modern day world. 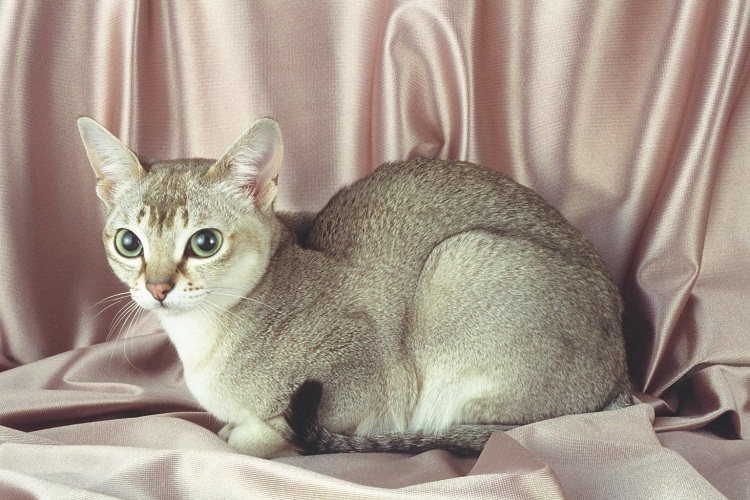 The coat of the Singapura is ticked with a brown to light brown hue. These cuddlesome lap cats are fond of their family members and exhibit tenderness and warmth interacting with them. 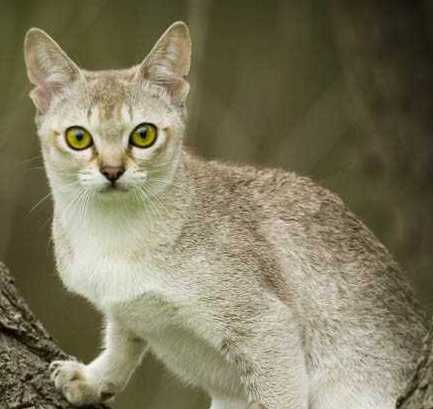 The Singapura cat is said to have existed for three centuries and descended from all the cats from around the world that entered Singapore by ships and later, breeding with the local feral felines. The Singapuras were known as ‘drain cats’ or ‘river cats’ in Singapore because of their habit of living in and around the drains and river waters of the country. They bred with the local feral cats and widely spread across so much so that the authorities considered them vermin and took the initiative in culling the population periodically. 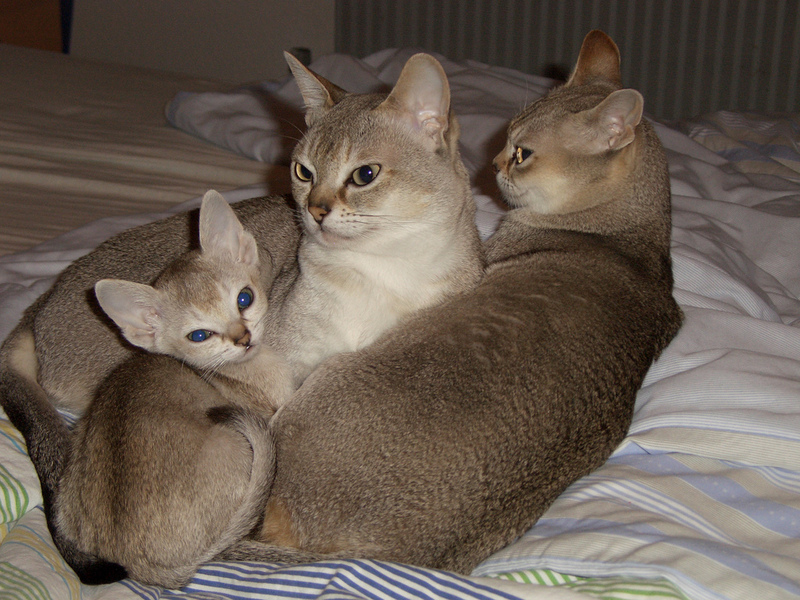 Later, in 1970, cat fanciers Hal and Tommy Meadow developed the modern-day Singapura cat. The cats named Ticle, Pusse, Tes, George and Gladys were brought back to USA when the couple returned there. This built the first foundation of the pedigreed ‘Singapura’. 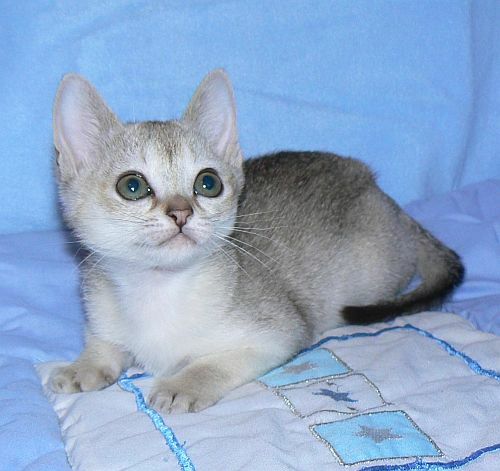 These adorable, small-size cats are characterized by affection, curiosity, and mischief. The puras are ‘people pleasers’ and enjoy being the center of attention in the house and spend time with their human companions, always trying to please them. They are equipped with the virtues of agility and intelligence, and are quite active by nature. These cats are known to be climbers that would sit atop your refrigerator or bookshelf to get a wide view of what is going on around. They seem to enjoy their prolonged ‘kitty days’ by retaining their playfulness even after attaining adulthood, however, they are non-destructive. 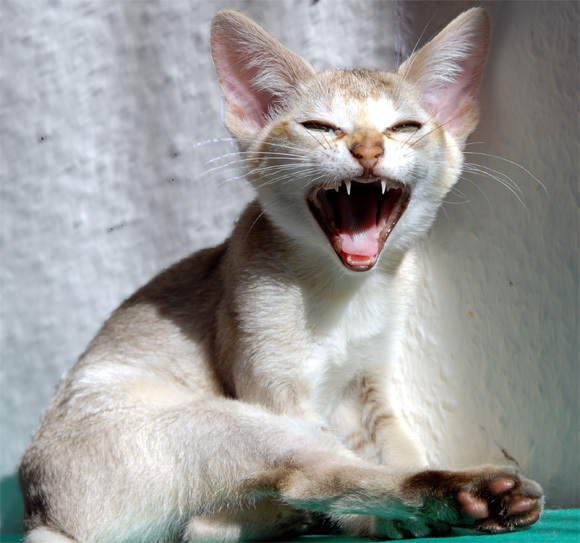 Singas are not quarrelsome and would be happy if they get more feline partners. The full-grown females of the breed are more dominant than the males and make wonderful mothers. The male puras are rather relaxed and easy-going. The interactive Singapuras would mewl to question you and reply you back with their soft, sweet calls. They have perfect compatibility with children, pets and family members of all age groups, thus making a wonderful family pet. These cats love being groomed. The grooming requirement of the low-shedding, short-coated Singapura cat is very low. Like most other breeds of short-hair cats, the Singas are self-sufficient in cleaning and grooming themselves. Use only a soft brush for brushing to remove dead hairs and keeping the coat glossy by distributing skin oils (and with this, they would also enjoy the underlying attention of its owner). Also, keep an eye for any ear infections, brush their teeth and trim their nails every week. 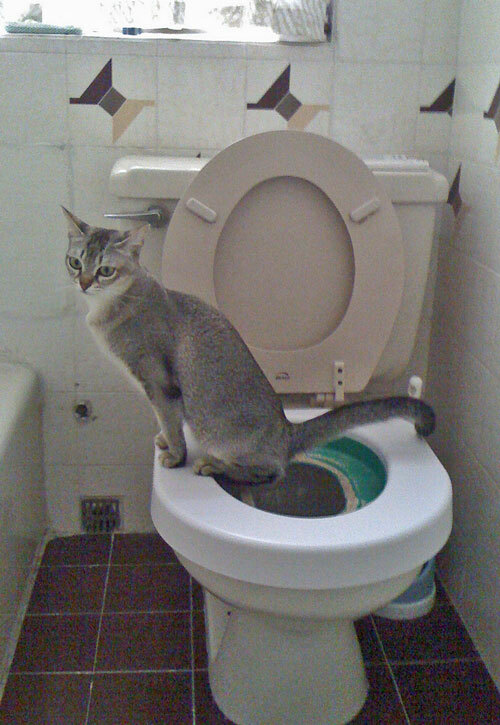 Bath is not necessary unless your cat is going out for a show. The otherwise healthy breed, one health issue discovered recently in the Singapuras is the pyruvate kinase deficiency (PKD). This is an inherited genetic disease caused by the deficiency of an enzyme responsible for the metabolism in red blood cells. This condition in turn results in hemolytic anemia. However, cats affected with this disease would lead a normal life. Female cats are also prone to be affected by uterine intertia, a pregnancy related issue, where the uterine muscles fail to expel the litter during birth. In this case, a caesarian section is required. Keep an eye for ear allergies or infections. It is also advisable to get them regularly vaccinated and dewormed, like all other cats in general. Feed your singapuras with a diet of raw foods. Meat and fish diets like chicken, turkey and wild salmon are the probably the tastiest and most-approved even by most picky eaters. Raw food is the best diet to keep your cat healthy, happy and long-living. High-quality dry foods can also be served in addition to these. Also, keep a constant supply of water, served in a wide, colorful bowl, so that they get enough space to accommodate their whiskers and can differentiate the water surface. Animal protein should top their diet chart. So, you can also serve them with eggs (beaten raw and mixed with water or lightly cooked), lamb, pork, fresh fishes like sardines, tuna, etc. Do not give them milk, which would only aggravate the growth of a bacterium named ‘bifidus’, which is common in cats. Also, remember that, cat foods should have zero vegetable or fruit in them. In 1987, an American breeder named Jerry Mayes discovered importation revealing that the three foundation cats were brought to Singapore from America in 1974. The cat registries recognized the breed in only one color – the ‘sepia agouti’, which has been described as “dark brown ticking on a warm old ivory ground color”. Strangely, the Singapura is heavy for their size with the females weighing around 4Kgs and the males being 6Kgs. 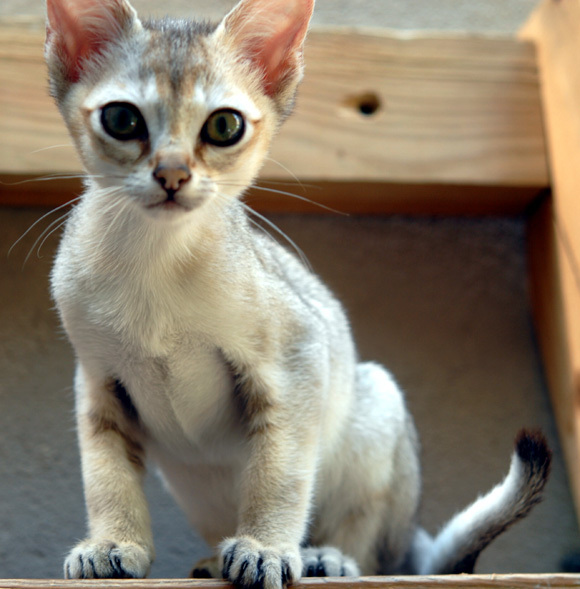 The Singapura cat is characterized by many unique marks, including the ‘Cheetah-tear’ lines running down the inner corners of their eyes, the ‘M’-shape marking on their forehead, and the ‘broken bracelets’ on their front legs and on the knees of their hind legs. 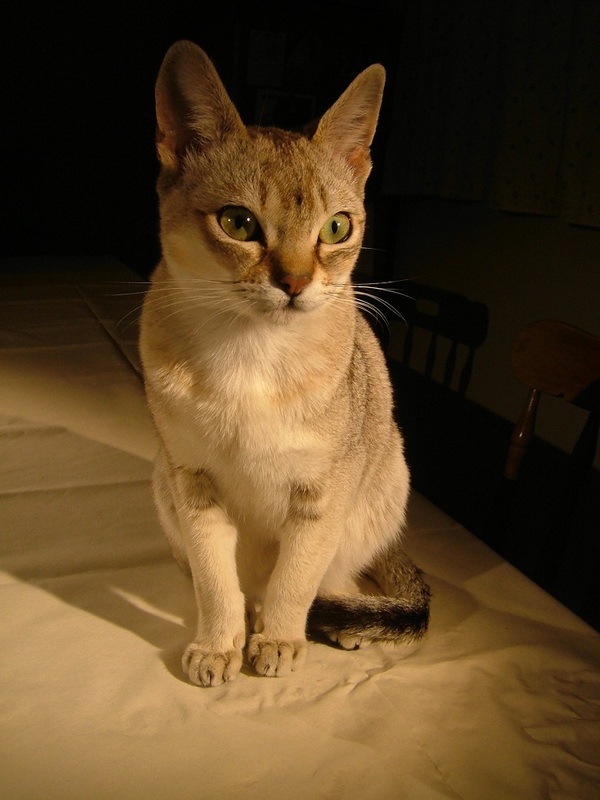 The Singapura cat is the national cat of Singapore. Published on May 19th 2015 by Shiloh Nevada under USA Cats. Article was last reviewed on 26th May 2017.